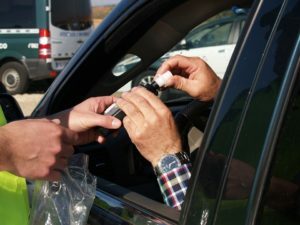 In New Jersey, as part of your right to drive on the roads, you are required when asked by a police officer to submit to a chemical breath test, currently known as an alco-test. If you fail to do so, you are risking suspension, fines and other penalties in the municipal court, above and in addition to those given to you for a driving while intoxicated charge. The implied consent that you give when you first get your license in the State of New Jersey requires that you do take a breathalyzer test when a police officer asks you to do so if you are pulled over under suspicion of driving while intoxicated. When you refuse to take a breathalyzer test in New Jersey, you may be brought to a hospital by the police in order to have a blood test taken. Under your first offense for refusing to take a chemical test, you may lose your license from between 7 months to one year. If that first offense occurs within a school zone, you will lose your license from 1-2 years. You must also commit 12 hours to an Intoxicated Driver Resource Center program through the state. In addition to license loss and the necessary classes, you will have a number of fines to pay as a result of your breathalyzer test refusal. Generally, there will be a fine that you must pay that will be between $300 and $500 but if you refuse the breathalyzer test in a school zone, that fine gets raised to between $600 and $1,000 fine. In order to take the IDRC class, the fee costs $230 each day that you take the class. There is also a $100 the Alcohol Education and Rehabilitation Fund. The penalties for refusing a breathalyzer test only increase in severity after your first offense. For example, on your third or more offense for refusing to take a chemical test, you can lose your license for up to 20 years, depending on whether or not the offense occurred in a school zone.